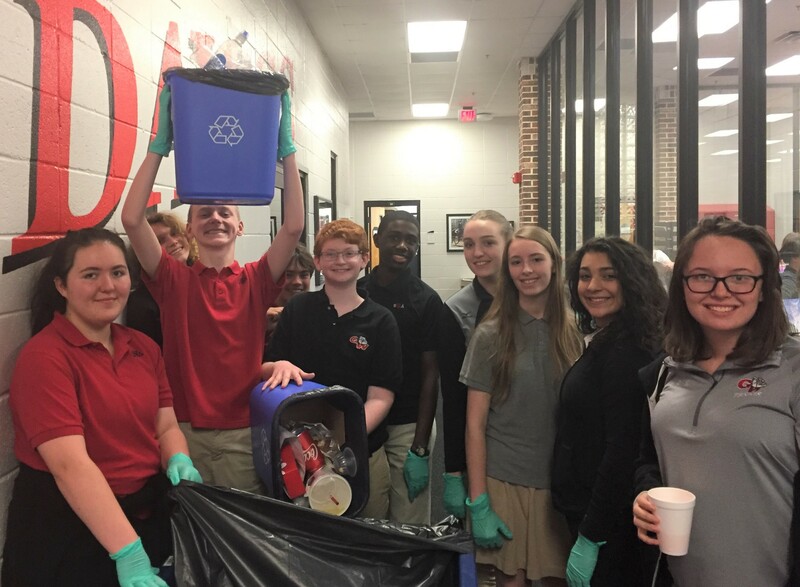 The primary purpose of the Recycling Club is to raise personal and public awareness of environmental issues, including the benefit of reducing, re-using and recycling of materials (plastic, paper, and aluminum) that would otherwise be sent to landfill sites. To achieve this goal, the club’s main task is to collect recyclable materials so they can be removed and processed by a recycling company. This will contribute to reducing GWA’s pollution footprint and raise awareness among students and staff of the benefits of recycling. The club hosts parties, creates art projects, and designs new ways to educate the GWA community on the benefits of recycling!